Oh Kim Jae Won, you used to be everywhere! When I first started watching Kdrama, one fo the big buzz dramas was Can You Hear My Heart where I feel in love with the pasty skinned gummy smiled hero. The angst! The love we could see he felt for the heroine! (Of course, this was probably helped by the fact that his deaf hero could not hear the screechy tones of our heroine.) He had mad acting skills. He was the floweriest flower boy in all the land. And then… nothing. 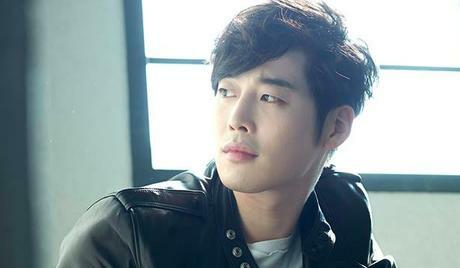 What’s happening with Kim Jae Won? One of my most interesting Kim Jae Won stories and, for me, the time where we begin to lose contact, was when he was signed onto star in Me Too, Flower!, only to injure his shoulder badly in a motorcycle accident in the beginning days of shooting. He was replaced with Yoon Shi Yoon, who instantly enchanted me. Sorry Kim Jae Won, I guess my love is fickle. I thought maybe he was in the military as that would account for the MOMS (Missing Off My Screen) but turns out, he’s 36! This is age appropriate Khottiedom. Imagine that! I forgot he was in My Love Patzzi! Man, I did not like that drama. By the end I thought both of those guys should just dump her and be better off alone. Turns out, Can You Hear My Heart was his return from military drama. Huh. Makes sense that there was so much noise around it. Man, now I want to watch that show again. I know it’s a slightly older drama, but if you haven’t seen it, I really suggest you give it a try. It’s not often where you get a show where the hero is deaf and I think he’s really very good in it. Ouch! The Me To Flower accident left him with a dislocated shoulder, a broken bone and torn ligaments and cartalege. It took him 10 months to recover. In Kdrama Years? This is aeons. He did do a couple of dramas after that, May Queen (2012) and Scandal! A Shocking And Wrongful Incident (2013) — both dramas I took a pass on. In 2015, he was in a saeguk Splendid Politics, the interesting thing about this drama being that he played the bad guy. I wonder how that turned out? I can’t really picture him as a bad guy, but what do I know? I forgot about him. Perhaps he’s turned bitter in these years since? In November of 2016, he did Father, I’ll take Care of You, yet another 50 episode drama. So, looks like Kim Jae Won’s been working pretty steadily these last years. Looks like he hasn’t been bothered at all with me forgetting about him. Well. Good for you Kim Jae Won, good for you.